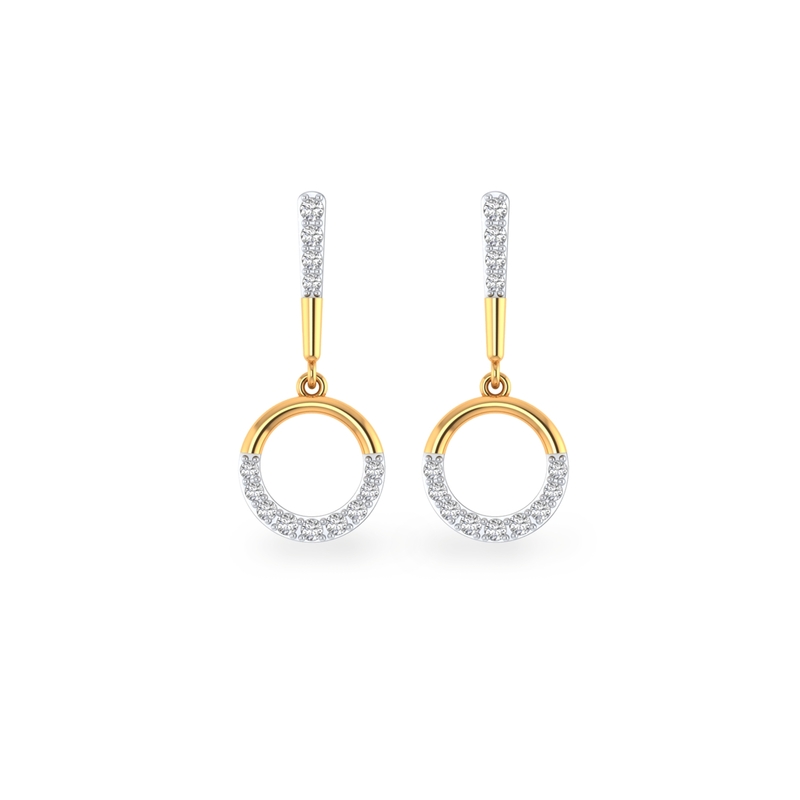 The hoop like danglers suspended with a thin line that seamlessly forms the top of the dangler, is a treat to eyes. Not-to-mention, how this diamond earring amps up your facial features on wearing it. Moreover, it's truly a classic pair that will never go out of fashion. Even with your different styles, whether ethnic, minimal or everyday, it will perfectly infuse its elegance into your look. Hurry! It's a limited-edition earring pair.